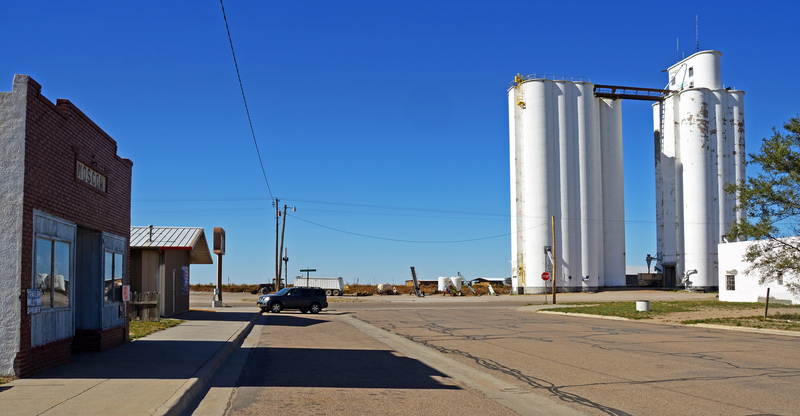 A documentary photograph of the Byers, Colo. elevator. 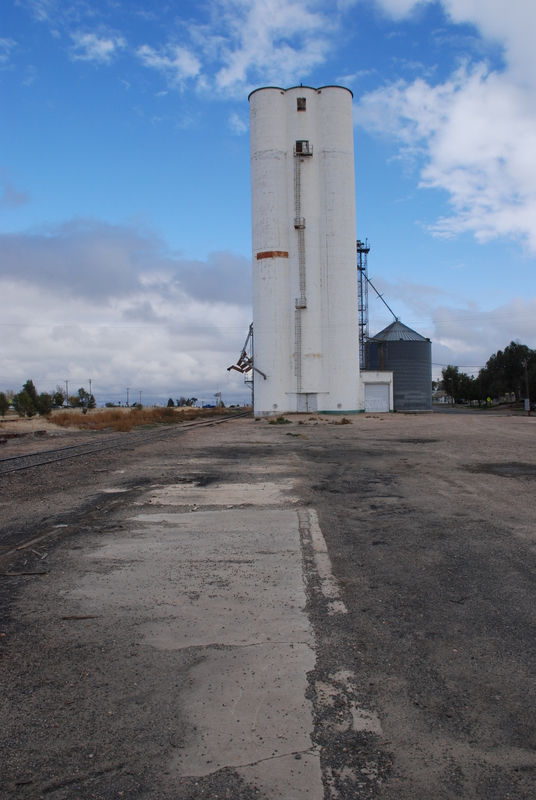 In the fall of 2012, Gary Rich, contributor to this blog, treated me to a photo tour of western Colorado elevators. I made a special stop to meet Gary and his wife Sandy. The last few years Gary has specialized in elevator photography, capturing the beauty and spare elegance of grain elevators, identifying their builders as he went. 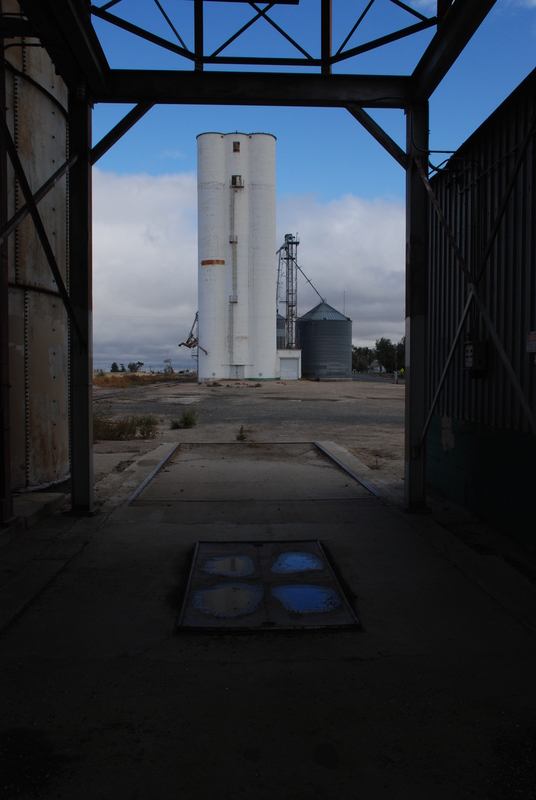 The Byers, Colo., elevator is one of the loveliest. 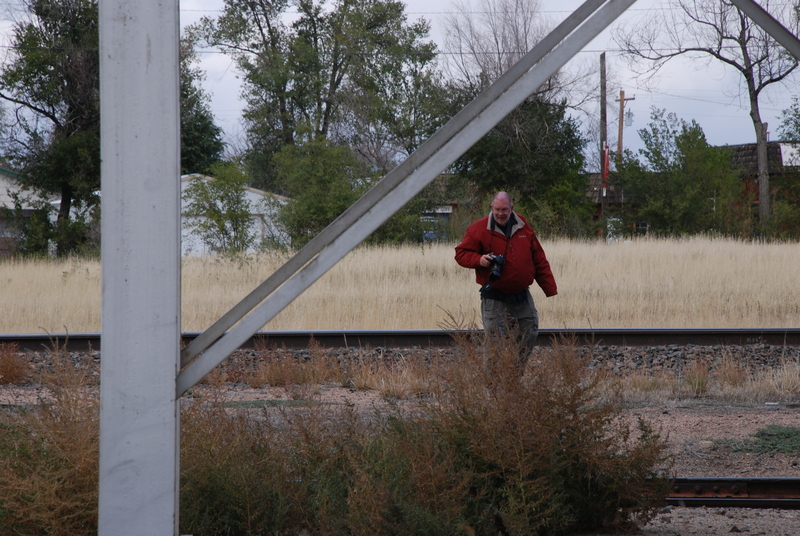 Gary Rich, camera in hand, looks for a better shot. Sandy Rich is a very good photographer in her own right, and she has challenged Gary to greater creativity in his compositions. He explained how her inspiration led him away from “documentary” shots and toward more artistic photography. 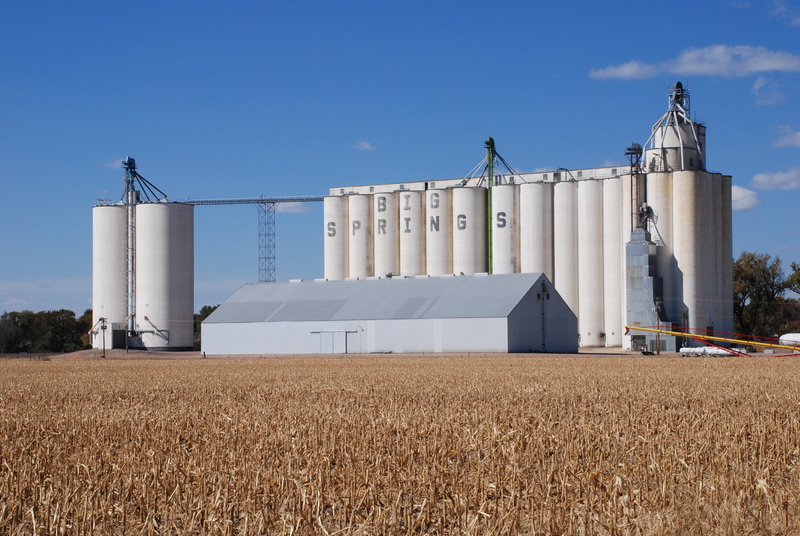 When we stopped at Byers, Colo., we took some of her ideas to heart, and we were very pleased with the results. 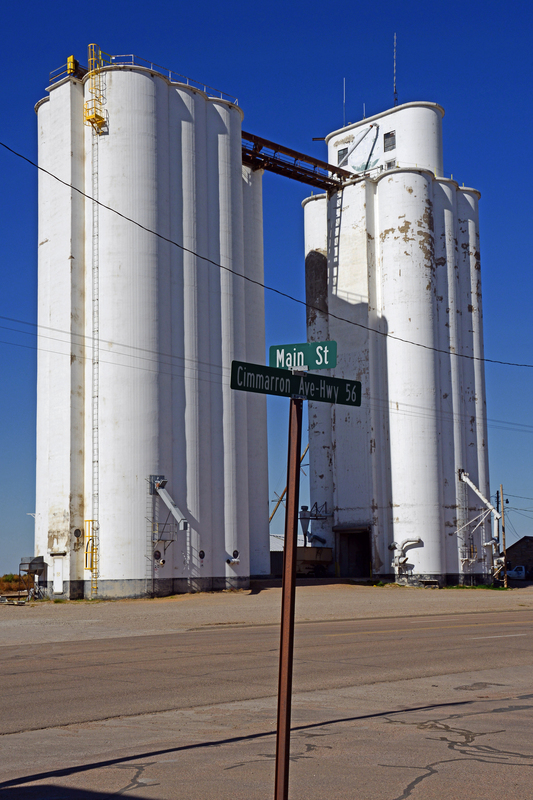 Mayer-Osborn construction built the Byers elevator in 1950, as noted in a contemporary newspaper account. My father Jerry Osborn remembers his dad William Osborn working on it. Using the foreground to frame the subject adds interest to the photograph. Gary shot this composition first as can be seen on his photo site. 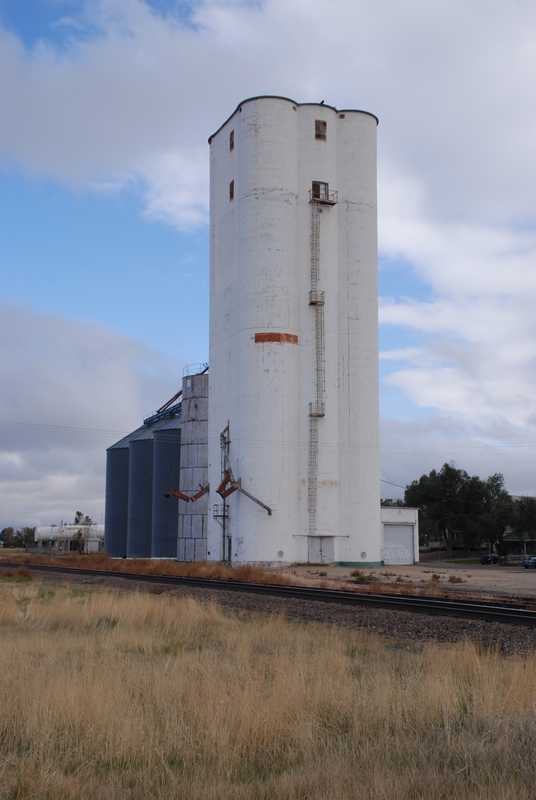 Retaining some of the characteristics of the earlier J. H. Tillotson elevators, the Byers elevator recalls those at Traer and Hanover, Kan. The Byers elevator is bigger than the Hanover elevator, and you can see where design adjustments accommodate the greater volume. The windows are very similar to those at Traer. The manhole covers on the exterior at Byers represent an innovation to fulfill local needs. Since elevator designs continued to improve over time, an elevator design genealogy becomes apparent. The innovations cross company boundaries and are seen by looking at elevators chronologically, especially where the same builders and architects continued working in the business, bringing their ideas to one company after another. This is a chronology we are still trying to understand. As we strive to understand elevator history, we take pictures. Elevators are worthy of our understanding and preservation for their beauty, not just their utility. Beautiful photos convey that message in a way that words can never express. The manhole covers on the exterior of the Byers elevator identify Mayer-Osborn as the builder. 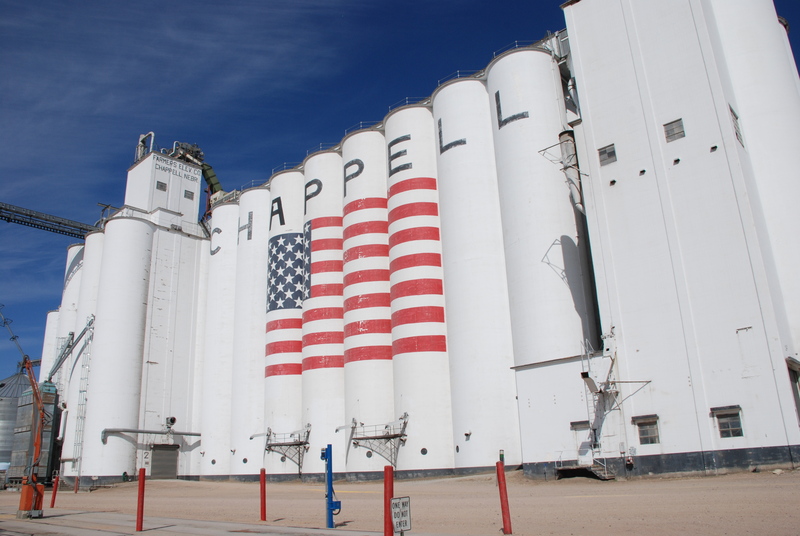 I spent a couple days during October 2012 photographing grain elevators in southwestern Kansas. 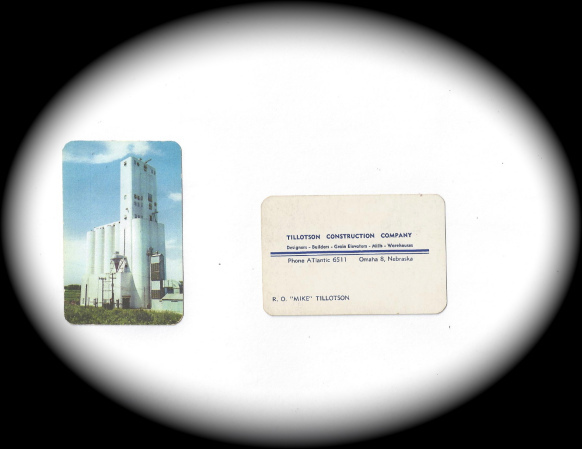 Arriving in tiny Moscow, Kan., I saw a concrete elevator with a curved headhouse and had a hunch it was built by Tillotson Construction Company. My problem was that it was operated by Archer Daniels Midland. ADM has a strict policy of not allowing anyone on their property. I went inside and had a conservation with the elevator manager. I didn’t have any hope getting into the elevator. He told me that it was built by Chalmers & Borton. I knew this was not the case, since Chalmers & Borton never built an elevator with a curved headhouse. He told me I could take all the photos I wanted. However, it would be across the street from the elevator. I have wondered since this trip how I would ever find the true builder for this Moscow elevator. 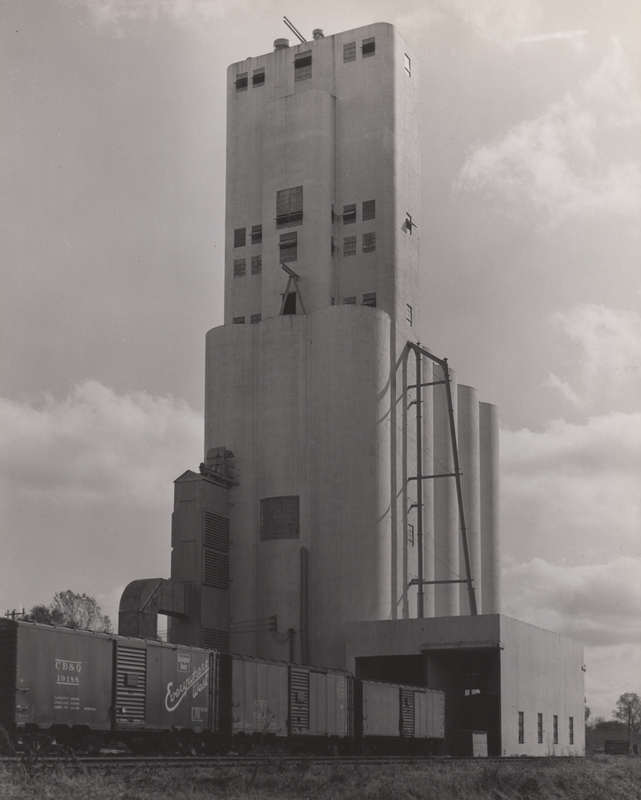 The recently discovered records of Tillotson Construction Company show that Tillotson indeed built this elevator in 1948. 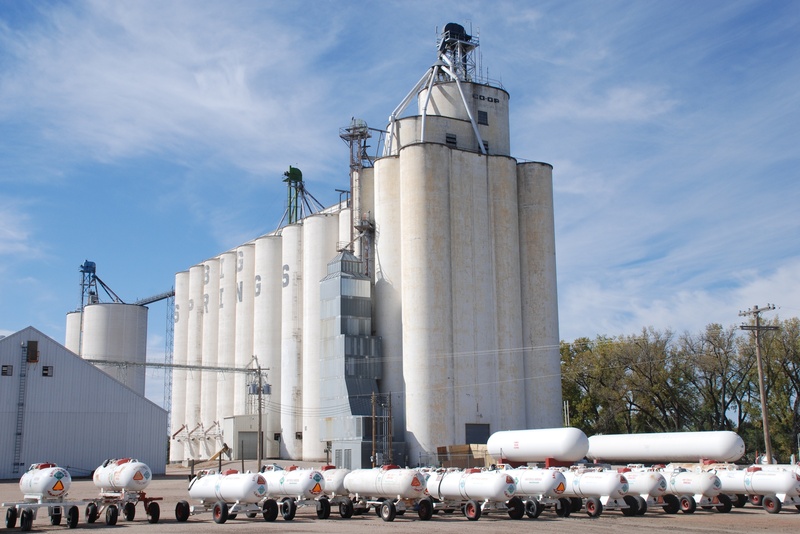 Capacity was 100,000 bushels with 14 tanks and a 13-foot-wide center driveway. Six bins were over the driveway. The Moscow elevator was a very small one for anything made of slip-formed concrete. 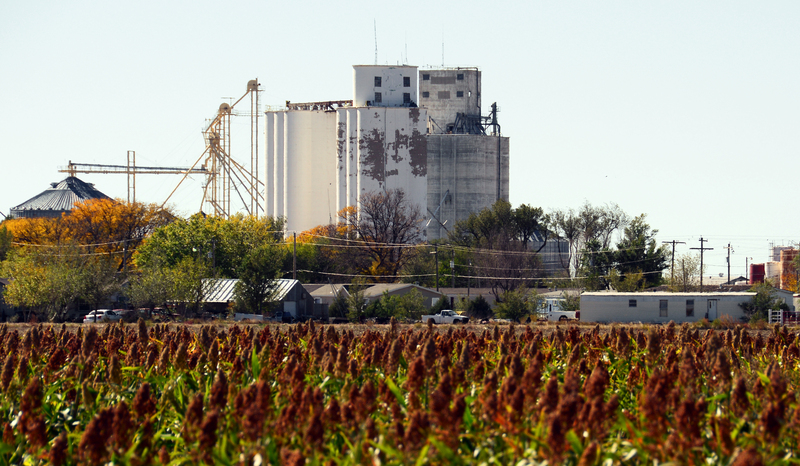 Tillotson built another relatively small elevator in Rolla, Kan., that had a 140,000-bushel capacity. Most that Tillotson was building in this time frame were of 200,000-bushel capacity or even larger. The Santa Fe Railroad had a branch line from Dodge City, Kan., to Boise City, Okla. It was about 140 miles in length. Tillotson Construction built elevators in Ensign, Montezuma, Satanta, Moscow, Rolla and Elkhart, Kan.
It’s quite an accomplishment that Tillotson built six elevators along this line. The Vinton Street elevator in Omaha was a significant job for Tillotson Construction Company, being a technical challenge to the nine-year-old outfit and representing a major emphasis in its subsequent marketing effort. 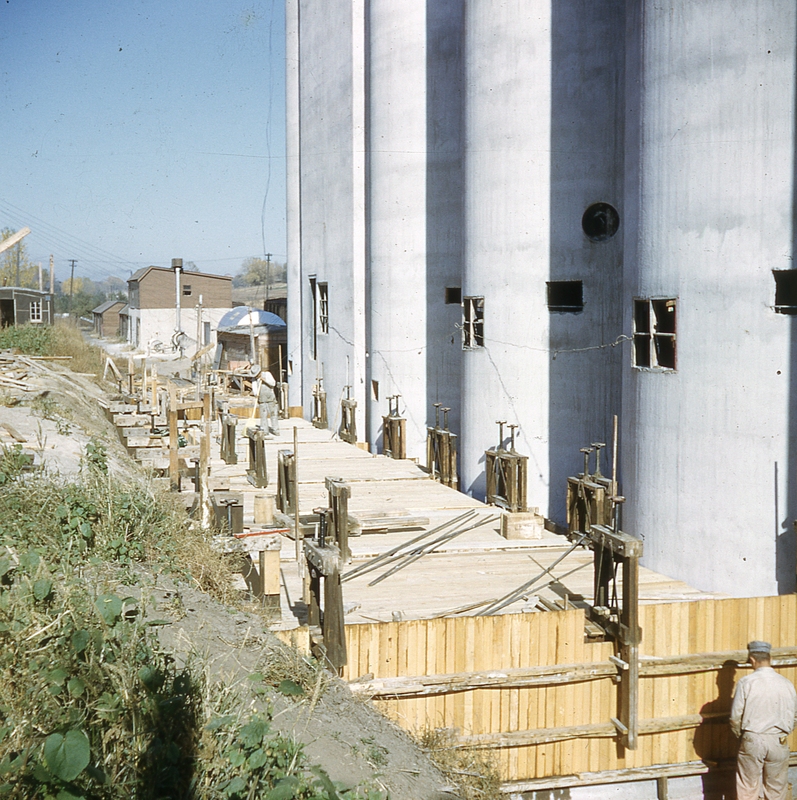 Lucky for us, much attention was paid to taking good photos of the elevator, including some early color images that include views of the construction process. These photos were in the hands of Uncle Tim Tillotson, who passed them to us for scanning. The color ones came from a viewer that was presumably shown to prospective clients. With its headhouse accommodating three legs to lift the grain, it was tall. Exactly how tall isn’t recorded, but it probably came within sniffing distance of 200 feet. Only a few of the city’s downtown office towers surpassed its height, although they weren’t necessarily better-looking. 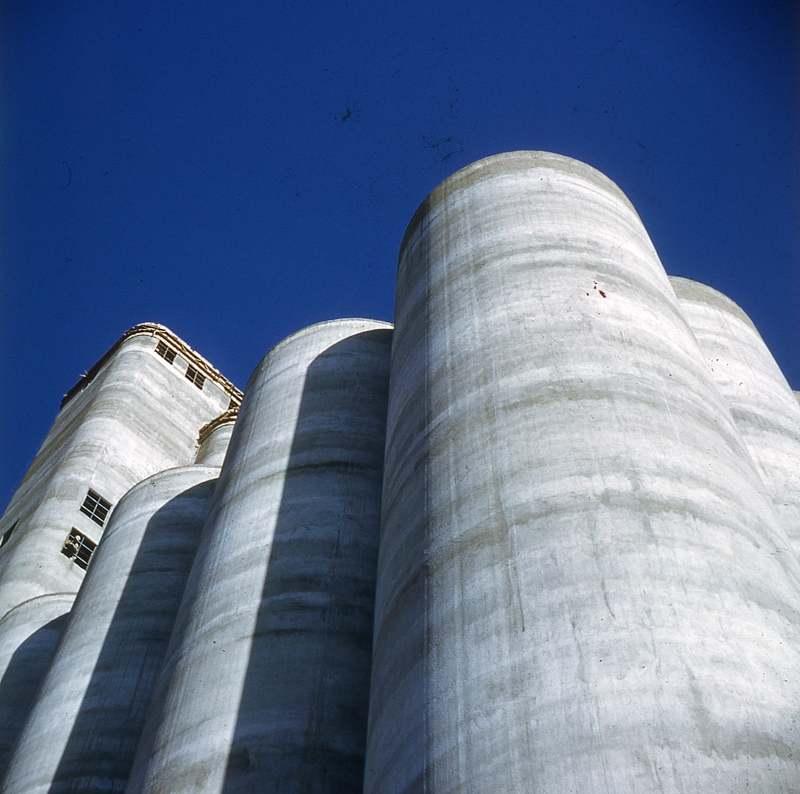 This terminal elevator had capacity of 382,880 bushels, and the legs handled distribution of the grain inside the main house. It also was a showcase that family and friends could see for themselves. Until then, Tillotson Construction had been building elevators in Texas and Oklahoma as well as some less far-flung places. 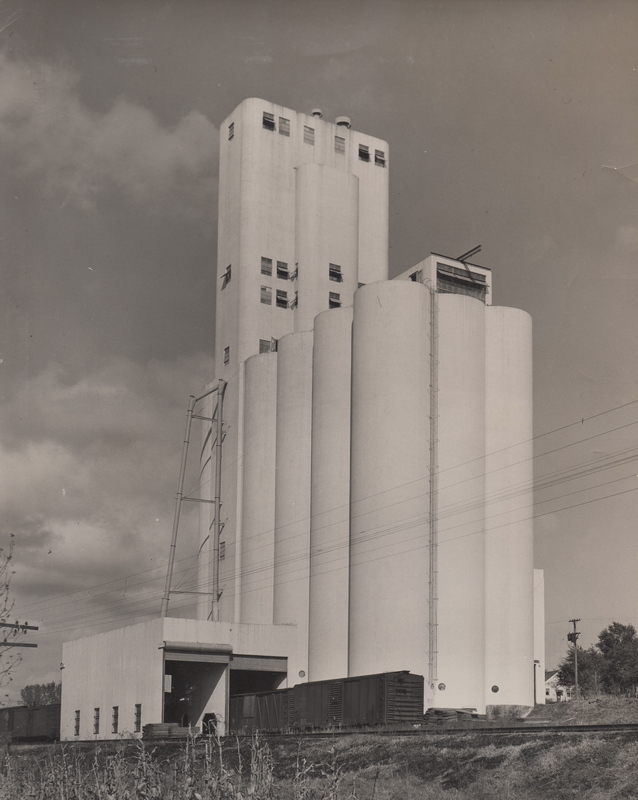 The elevator was completed in 1950 on a South Omaha greenfield site at 34th and Vinton Streets. The company’s office at 12th and Jones was only three miles away. Another reason for its significance is that Reginald and Margaret Tillotson’s oldest son Charles went to work as an apprentice carpenter and hod carrier on the job. He helped to build several other elevators over the next few years. With the Tillotson construction record now in hand, we present the following technical specifications without yet having achieved a full understanding of all the abbreviations and lingo. 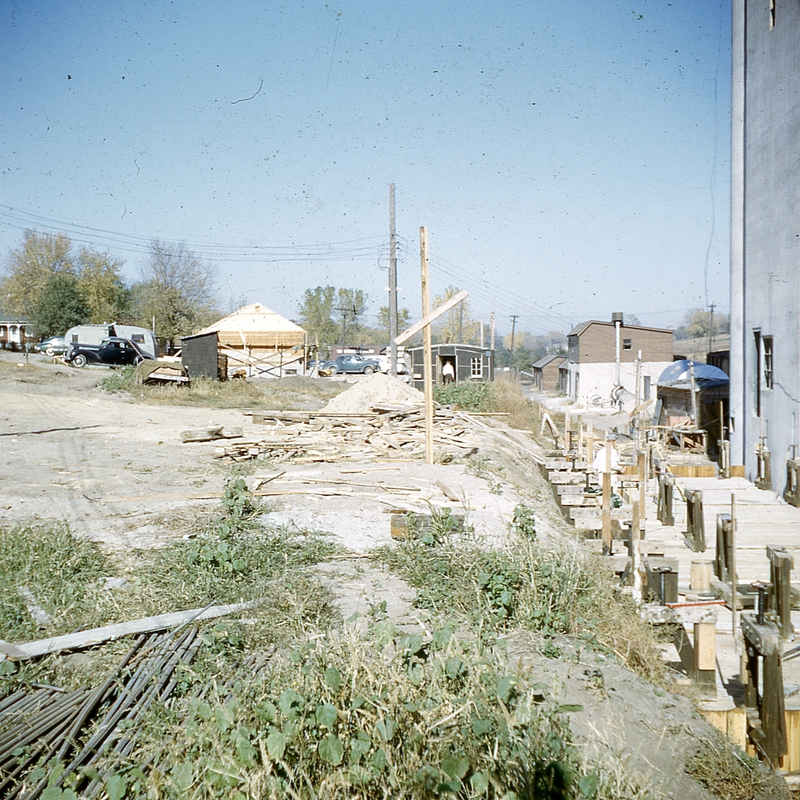 Construction of the hoist very early in the process of building the Vinton Street elevator. Note the Georgia buggies near the formwork. Below main slab: 20,932 lb/223 c.y. Main slab: 66,579 lb/618 c.y. Drawform walls: 233,927 lb/2100 c.y. Driveway and work floor: no figure for steel/17 c.y. Deep bin bottoms (including columns): no figure for steel/155 c.y. O.H. bin bottoms: no figure for steel/40 c.y. Bin root: no figure given for steel/90 c.y. Scale floor (or garner, complete): no figure for steel/17 c.y. Distributor floor (cleaner floor): no figure for steel/8 c.y. Cupola roof (gallery): no figure for steel/49 c.y. Miscellaneous (headhouse): no figure for steel/640 c.y. 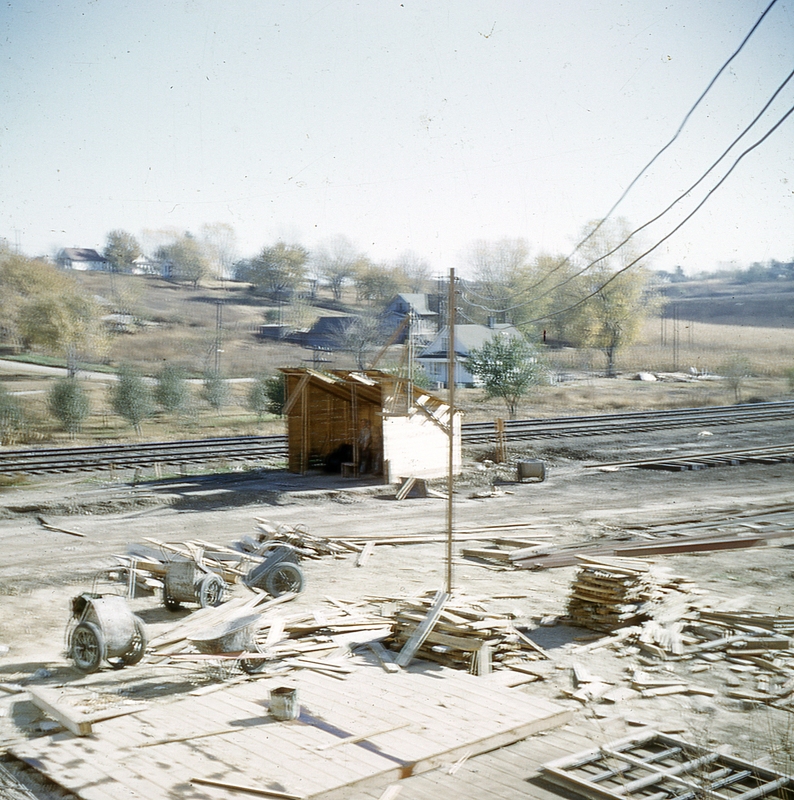 Attached driveway: driveway 416 c.y., track shed 403 c.y. This extreme view shows the elevator before painting. The individual pours can be seen in the drawform walls of the bins. 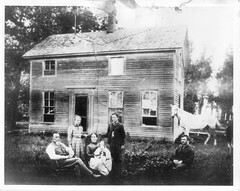 Click on the photo to enlarge the image, and you’ll note the man leaning out of the window opening on the left. Main slab steel: 1 in □ at 7 in o.c. 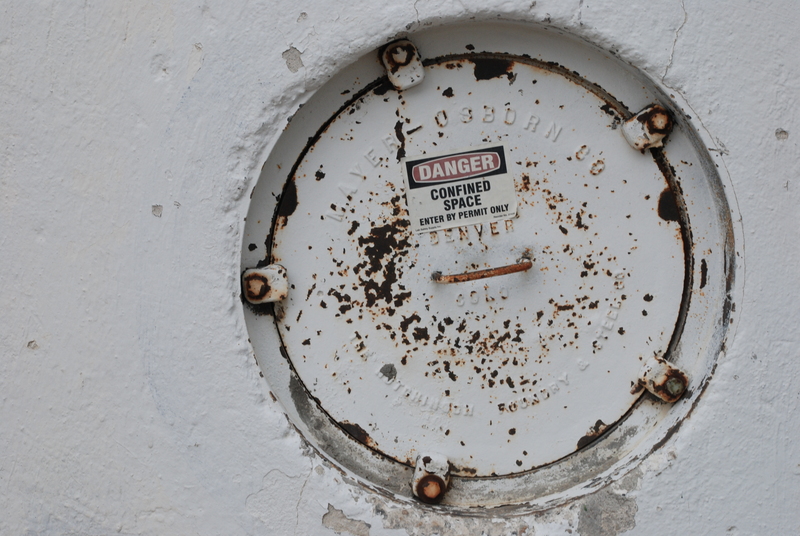 Tank steel at bottom (round tanks): ⅝ in ⌀ at 8 in o.c. Cups: 21 x 7 in cal. at 9 in o.c. stag. My grandfather used one of the color images from Vinton Street on its business card. Load out scale: Two 2500-bushel hop. Truck lift: Ehr. semi fans w. col.